Specialising in audio visual events and equipment hire, offering professional services to the UK and Europe. We see ourselves as a creative and technical company that has a fresh approach to corporate events and conference production work. We are flexible in the way we work with our clients and comprehensive in the range of the support services and solutions we provide. 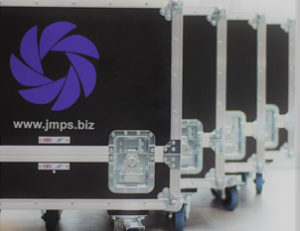 If you need to stream your event or conference to large projection screens for a big audience using image magnification or via the web to an audience who couldn’t make the event, JMPS can provide this service with HD solutions, using single or multiple cameras, please get in touch to find out more. JMPS is a Cambridge based audio visual hire company working locally in East Anglia but also nationally and internationally too. Get in touch for an informal chat about your event and the solutions we offer. "A team that is professional in the way it delivers services."